The Wink Hub is yet another smarthome hub that aims to compete with the likes of SmartThings and Insteon in order to create a central device that all of your other smarthome devices can connect to. Here’s how to set it up. What Is the Wink Hub? Smarthome hubs act as a central device that connects to your router (thus giving it access to your network and the internet) and then your various other smarthome devices can connect to it, like sensors, smart bulbs, smart outlets, and smart light switches. 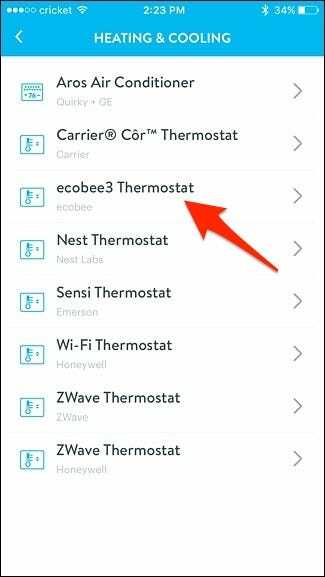 RELATED: What Are “ZigBee” and “Z-Wave” Smarthome Products? Many of these smaller devices communicate using the Z-Wave and ZigBee wireless protocols, which is why a special smarthome hub is necessary in the first place—your router doesn’t support either protocol, so your phone has to communicate with something that sends out Z-Wave or ZigBee signals to your devices. There are many smarthome hubs on the market, but Wink has one big difference from products like Samsung SmartThings or Insteon. Wink doesn’t make its own sensors, outlets, lights, and more. 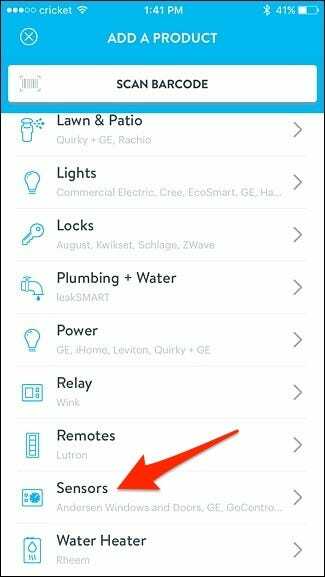 So whereas SmartThings and Insteon both make their own line of sensors and such to go along with their respective hubs, Wink only makes a hub. This isn’t a problem at all, though, as Wink simply relies on third-party manufacturers to make Z-Wave and ZigBee devices. 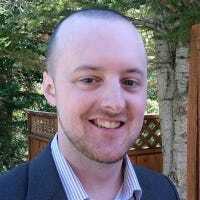 For instance, companies like GoControl, Cree, GE, Osram, Leviton, and Lutron all officially make products that can connect to the Wink Hub, and there are hundreds of other devices that can connect to the Wink Hub, even though they may not be officially supported, since Z-Wave and ZigBee are relatively open protocols. Plus, the Wink Hub supports a ton of other smarthome platforms, even if they already have their own hub. For example, you can link your Philips Hue lights to the Wink app and control them from there (though you’ll still need the separate Hue hub to do so). 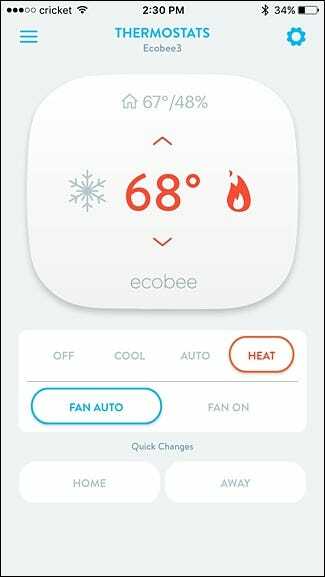 Wink also supports Nest products, the Ecobee3 thermostat, the Ring Doorbell, Kwikset and Schlage smart locks, and even water heaters and garage door openers from Rheem and Chamberlain, respectively. The Wink Hub is on its second generation, and the newer hub comes with better Wi-Fi and Bluetooth connectivity, as well as improved processing power. This guide will focus on setting up the second-generation Wink Hub (called the Wink Hub 2), but the instructions are nearly the same for either generation. Start off by unpacking the Wink Hub, plug it into power, and connect it to your router using the included ethernet cable (plug it into any free ethernet port on the router). You can connect it to your router using Wi-Fi, but it’s best to use ethernet if at all possible. It will automatically boot up and display a blinking white status light on the front. 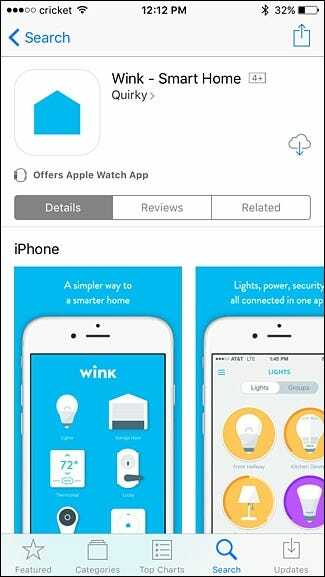 Next, download the Wink app on your iOS or Android device. 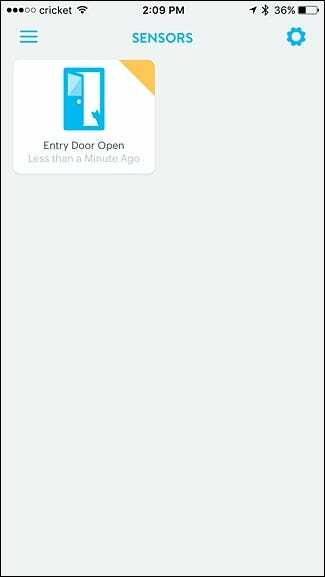 Open up the app and either log in to an existing Wink account, or hit “Sign Up” to create one. 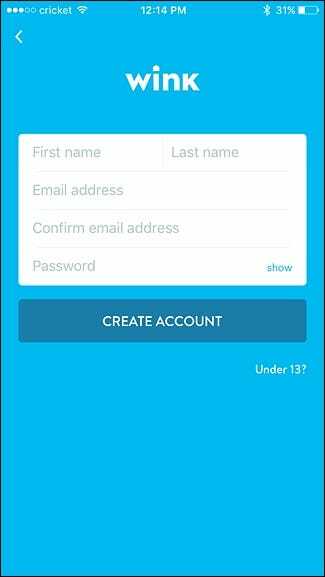 When you sign up, you’ll need to enter in your name, email address, and create a password. 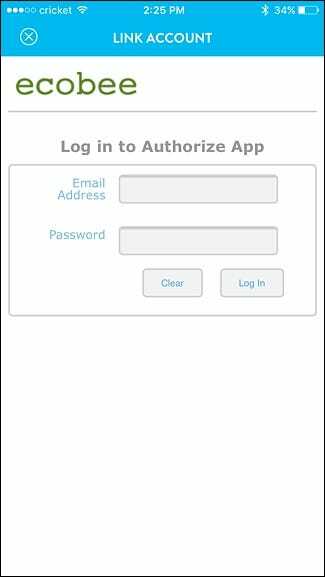 Once you create your account or log in, you’ll be taken to the main screen of the app. Tap on the plus button that says “Add a Product”. 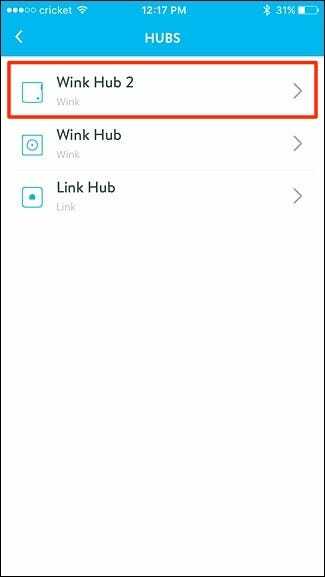 Since we’ll be connecting the Wink Hub to the app, you’ll select “Hubs” from the list. 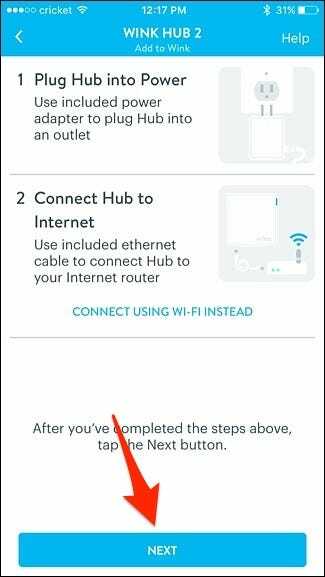 Hit “Next” since we already plugged our Wink Hub in, although this is where you can connect your Wink Hub to your Wi-Fi by tapping on “Connect Using Wi-Fi Instead”. 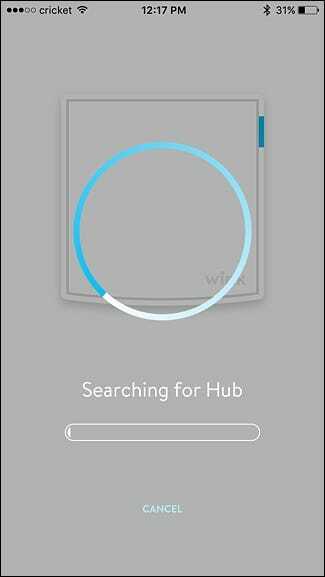 The app will begin searching for your Wink Hub. 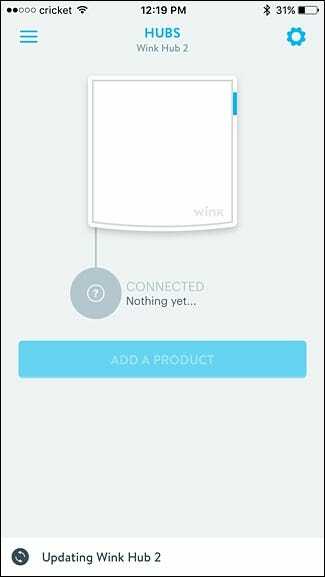 Once it confirms that there’s power and that it’s connected to your router, tap on “Add to Wink” at the bottom. 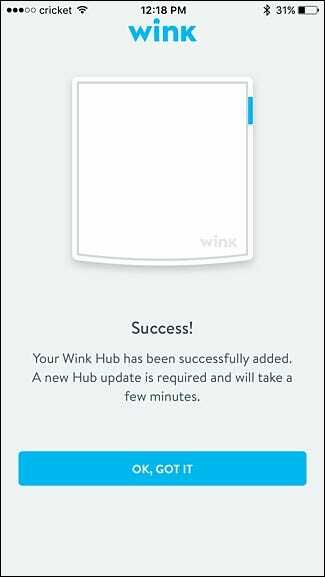 Give it a few moments for the app to add your Wink Hub. 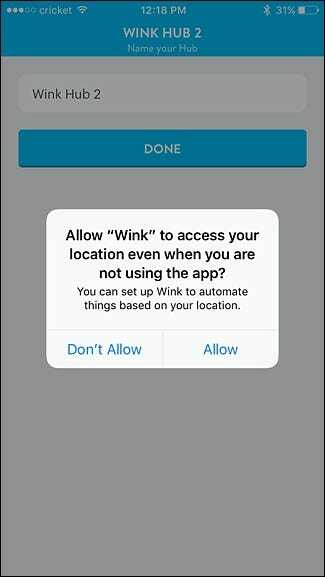 After that, either allow or deny the Wink Hub to use your location, which is used to automate devices based on your home or away status. After that, give your Wink Hub a custom name if you’d like and then hit “Done”. 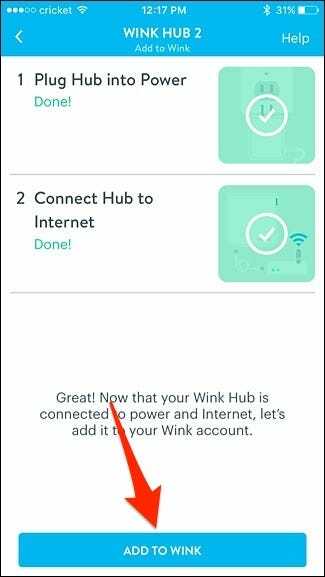 Your Wink Hub is now connected to your network, as well as the Wink app. Tap on “OK, Got It”. 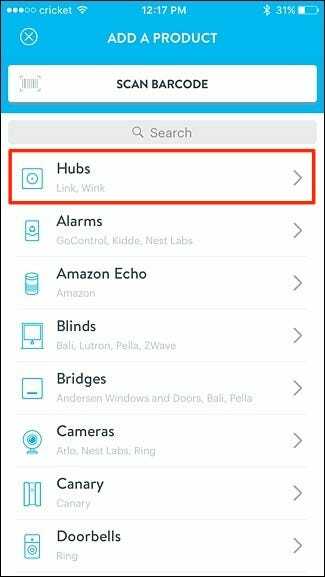 The hub will now automatically install an update, which should only take a few minutes, but after it’s done, you’ll be able to begin using the hub and add devices to it, as well as link other smarthome devices to the hub and the Wink app. 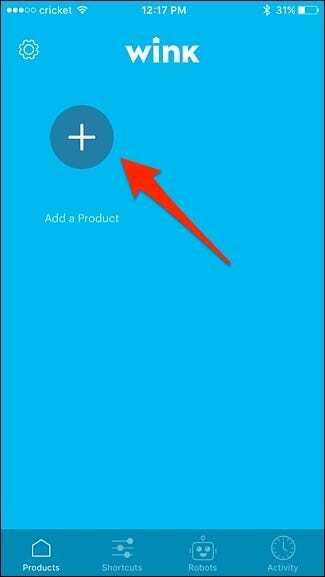 To begin adding Z-Wave or Zigbee-based devices to your Wink Hub, tap on “Add a Product”. From the list of categories that you can choose from, select the one that corresponds to the device you’re adding. In my case, I’m adding an open/close sensor, so I’ll scroll down and tap on “Sensors”. From there, choose the specific device that you’re adding. 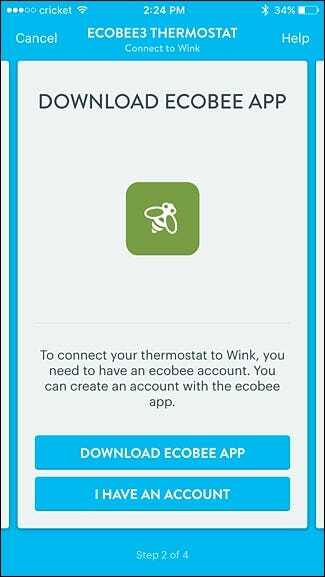 I’m adding an Ecolink sensor, but it’s not listed in the Wink app. However, I scroll all the way down and select “Z-Wave Sensor”. 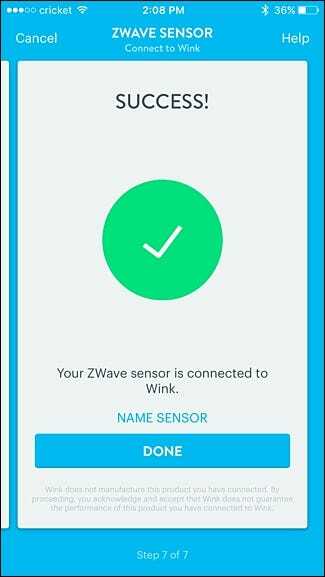 You’ll then scroll through a series of instructions, which may be generic depending on the device you’re adding, but if Wink officially supports it, then it will list specific instructions for that device. You’ll get to a screen where it will say “Connect Now” at the bottom. 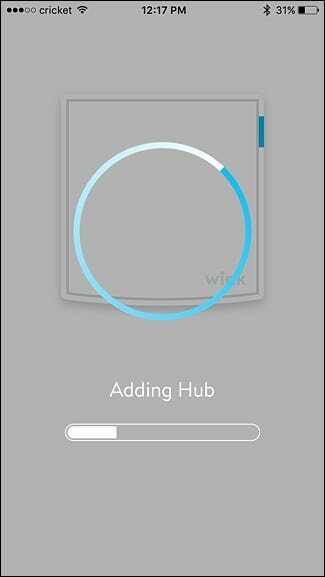 Tap on this and wait for the Wink Hub’s light to start blinking blue. Once the hub is ready to pair with the sensor, pull the battery tab out of the sensor and wait for it to pair with the Wink Hub. 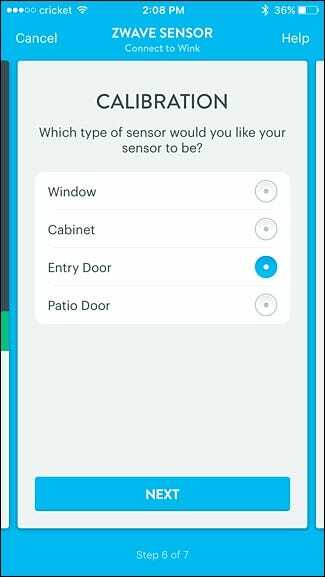 When it does pair, the app will move onto the next screen where you’ll choose where the sensor is being placed in your home. Hit “Next”. 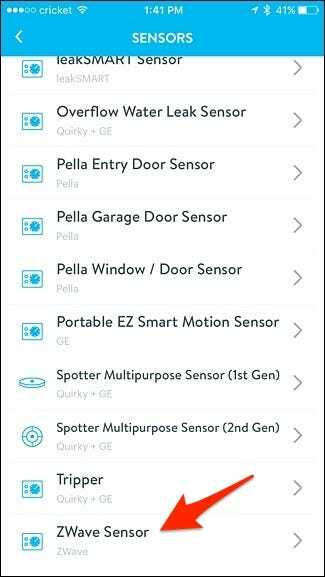 On the next screen, tap on “Done” or “Name Sensor” if you want to give it a custom name (like “front door” or “garage door”), which you will want to do so that way you know which door is opened and closed when you have multiple sensors set up. 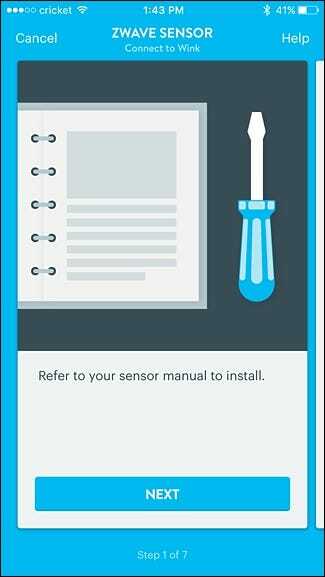 After that, the sensor will appear in the app and you’ll be able to see its status and whether or not it’s open or closed. 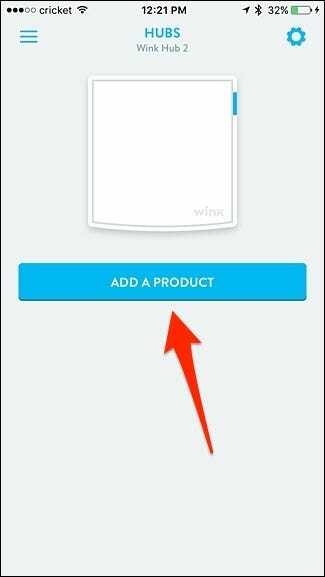 If you simply want to link an existing smarthome device to the Wink app, you can do so from the same “Add a Product” menu. 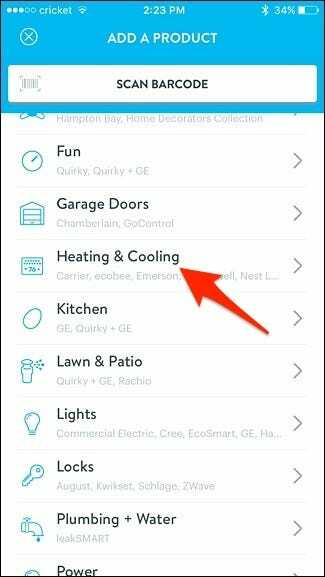 In this case, we’ll be linking an Ecobee3 smart thermostat to Wink, so we’ll start by selecting “Heating & Cooling”. 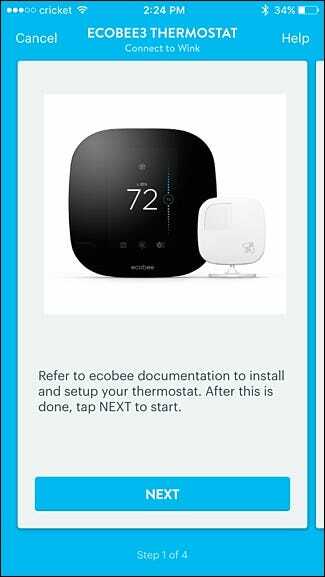 Tap on “I Have an Account” if you already have your thermostat all set up (which you likely you do at this point). 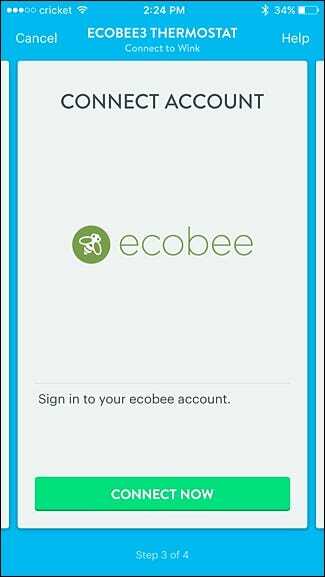 Enter in your credentials for your Ecobee account and then tap “Log In”. Hit “Accept” at the bottom after you log in. The thermostat will now appear in the Wink app where you’ll have nearly full control of its settings without having to separately open up the Ecobee3 app. 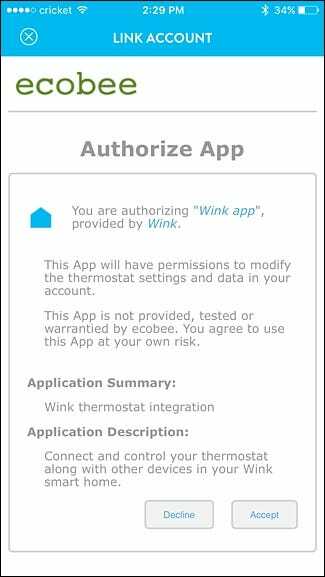 Obviously, you can connect a lot more than just sensors and thermostats to Wink, so if you have a house full of smarthome devices, be sure to add them to Wink in order to make a one-stop shop from which you can control all of your devices.